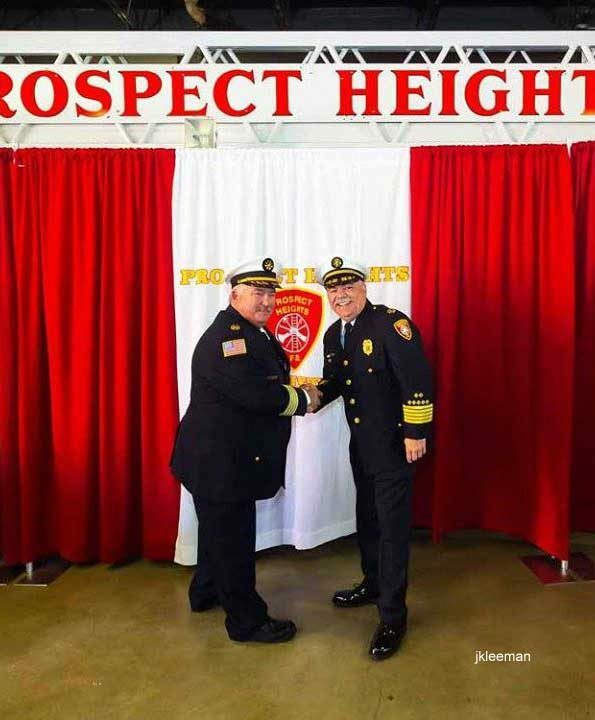 At 10:00 a.m. Tuesday the 20th of September, The Prospect Heights Fire Protection District did something that has only been done four times in its 72-year history – it welcomed a new Fire Chief. In July 2016, Donald Gould retired his position as Fire Chief, after being honored in April 2016 for his 49 years of service. At the ceremony surrounded by city staff, Police and Fire Department personnel, and presided over by Deputy Chief Tim Jones; Board of Trustees President John Tammen presided over his oath of office. Then Deputy Chief Drew Smith logging training operations at a live burn Spring 2016 at a vacant house near the Prospect Heights Library (Photo Credit John J. Kleeman). As Deputy Chief, Smith routinely responded to calls that sounded, during dispatch, as though responding firefighters could use an extra hand or an experienced supervisor on scene. 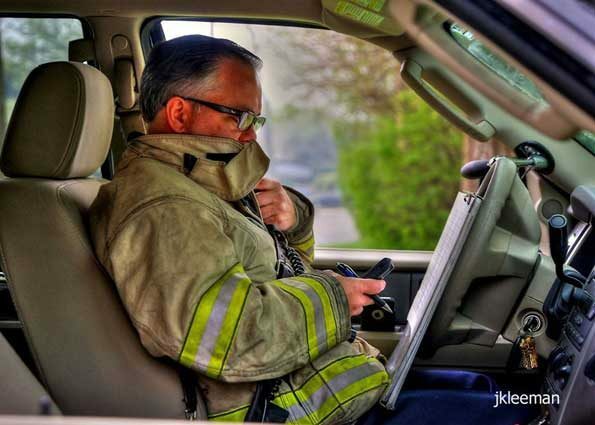 The dedicated and vigilant firefighter has been a leader in adding himself to these calls before he’s requested, which has become a more popular practice among chiefs. And like many Fire Chiefs in the northwest suburbs, he does not hesitate to help when he discovers an emergency before the call has even been dispatched. Smith is regularly observed “on scene” coordinating training and drills, mentoring firefighters under his command. Smith is definitely a “big picture” decisionmaker, who with clear communication skills, strives for the optimal balance of commonsense, innovation, and tradition. He found his calling. A well-liked and consummate professional, he has been preparing for this day for literally years. Prospect Heights Deputy Chief Tim Jones (left) and Fire Chief Drew Smith (Photo Credit: John J. Kleeman). Any aspiring firefighter/paramedics would benefit by his training skills and leadership. And with promotions there are new openings. Prospect Heights Fire District is currently accepting applications for the position of Paid-On-Call/Entry Level Firefighter/EMT. See detailed information on the Prospect Heights Fire Protection District official website. 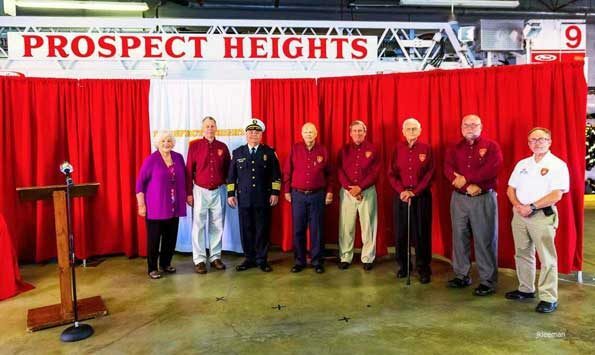 Applications are due no later than SEPTEMBER 30, 2016 at 4:00 p.m.
Fire Chief Drew Smith and the Prospect Heights Board of Trustees (Photo Credit: John J. Kleeman). News/photo contributor John J. Kleeman authored this report with Mark D. Bostrom contributing to the report.